The question begged here, then, is, why did the New York Times have an obit on him in their obituary pages (p. 25) in the print edition of January 17, 2013, space they seem to reserve for people of a certain stature? 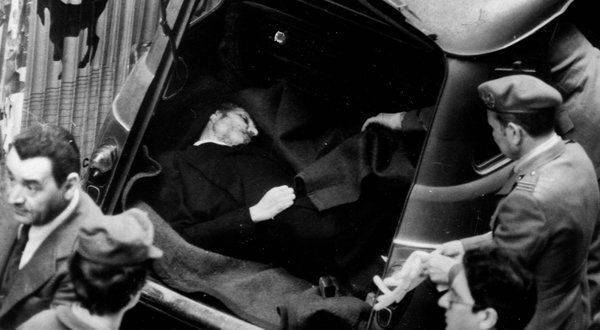 Furthermore, the article, now on line, is accompanied with a photo not only of Gallinari but also of the macabre scene of Aldo Moro’s murdered body, as you can see above. I’ll stop here, as I suspect I may get the urge to return to this subject of what appears where at another time and in another venue.